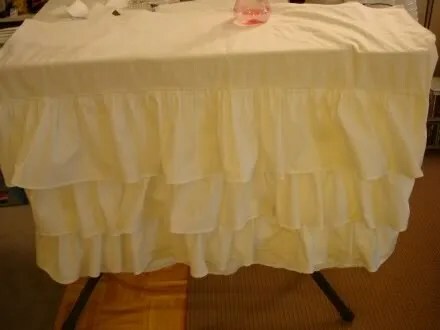 Yes, I have finally finished my petticoats for the 1828 dress. I made a corded one, as some of you may remember, plus a flounced one and a tucked one. Along with a two-flounce bustle. 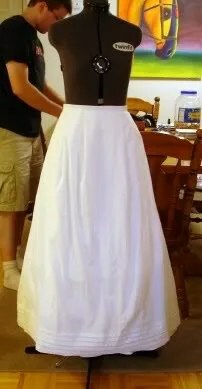 In sewing news, I’ve finished my corded petticoat for my 1828 dress! I tacked down the waistband during our Boston costumers meetup with last Saturday. I put the hooks and eyes on the next day. It’s only taken me nearly a year to finish this. I have a couple things to report. 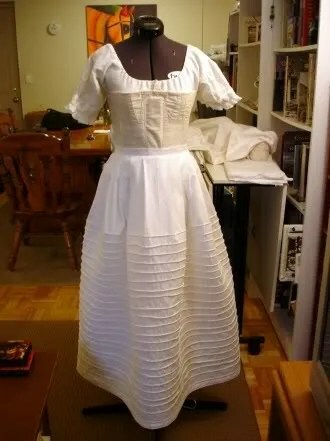 First, I did finish that chemisette for my bustle dress, so I’m calling that ensemble “done” for now. 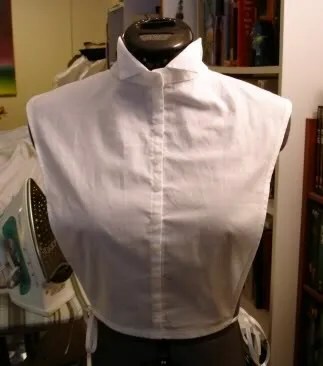 I still want to make a corset cover, and I may need to add some more hooks and eyes in places, but the whole thing is wearable and I’m pleased with the result. 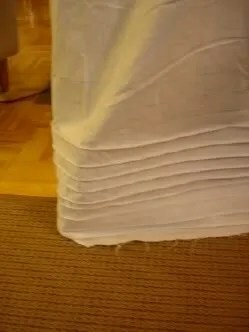 Here is a super blurry picture of my corded petticoat. I was too lazy to get a better photo, but there really isn’t that much to show anyway. I have eleven rows of cording in (only ten in the photo). I’m hoping to have at least twenty-four rows. 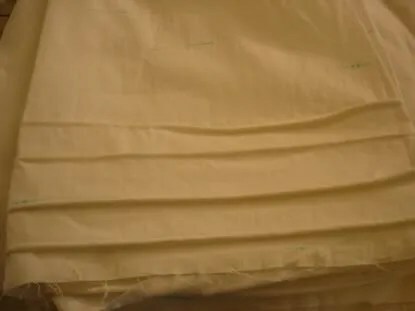 Of course, I’ve seen the insane amount of cording on the Kyoto petticoat, but I don’t think I can go for that much. I counted the rows of cording on some other photos of period examples, and I’ve seen anywhere from 18 to 30. So I guess I’m okay. 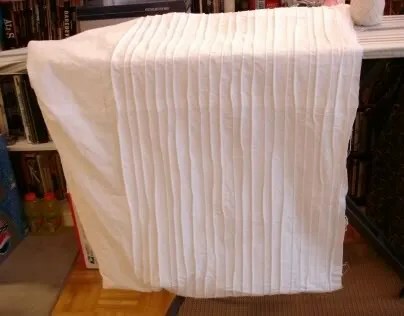 After I finish this petticoat, I want to make a few others, particularly one with flounces, to add more volume under my 1828 dress. 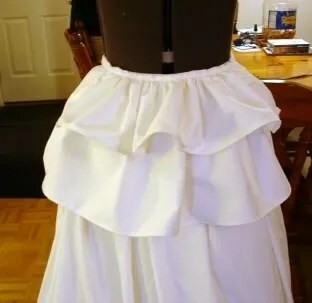 I’m not going for the huge-dome-look of the 1830s, but I don’t want the skirt to look too limp.